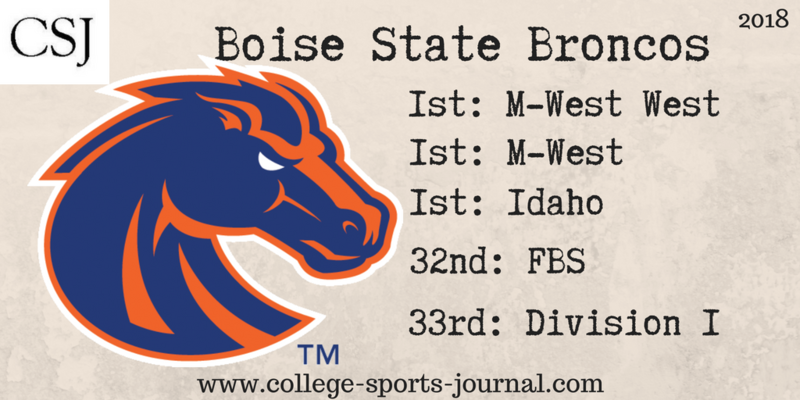 Boise State is our favorite to win its division in the Mountain West Conference and trying to make a New Year’s Six bowl as the top conference champion from the Group of Five (G5) . And the Broncos just might enter the College Football Playoff conversation in the process. The Broncos are 7-0 against teams from the Sun Belt Conference, including road wins over Idaho (2001 and 2003) and Louisiana (2016). 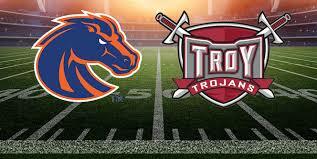 BSU defeated Troy 24-13 last year in Boise in the two teams only other meeting. Key Player: CB/KR Avery Williams returned two punts for touchdowns in 2017 (one against Troy). Williams led the Mountain West in punt return average (11.2 ypr) and averaged 24.7 yards per kickoff return with a long of 48. On defense, he made 45 tackles (36 solo) with two interceptions and eight pass breakups. Fantasy Bonus Baby: QB Brett Rypien is the active FBS leader in career passing yards with 9,876. But his passing game got off on the wrong foot last season, but it got better as the year went on, with Rypien throwing 16 touchdowns to four interceptions the last 10 games. Look for some big passing numbers in this game. 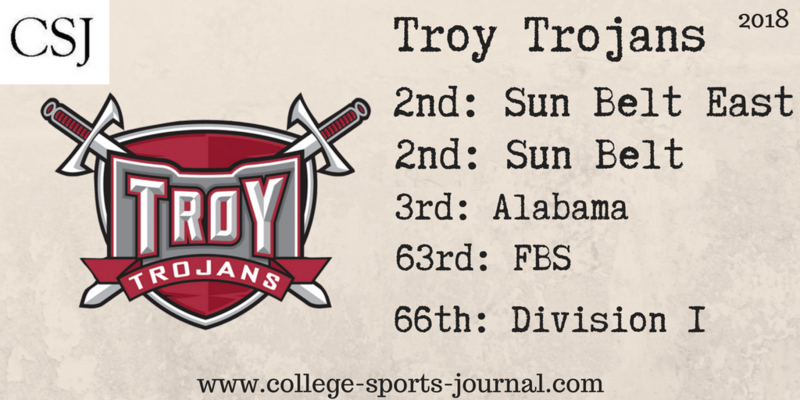 Troy’s 21 combined wins over the last two seasons are the most by a Troy team over two seasons in the school’s FBS era and the 21 wins are the eighth most in the country the last two seasons. One of the key wins was a road win at LSU last year. The Trojans shared the Sun Belt title with Appalachian State last year and those two look to be the top of the newly created Sun Belt East Division this year. Troy is 2-3 all-time against the current members of the Mountain West Conference. Troy is 2-1 against Utah State (2002-04), 0-1 against UNLV (1977) and 0-1 against Boise State (2017). Key Player: QB Kaleb Barker is making his starting debut as successor to four-year starter Brandon Silvers after winning the job in preseason camp. He is replacing four-year starter Brandon Silvers, who completed 63.9 percent of his passes last year but was 17-of-33 in the match-up with Boise State. He will need to avoid turnovers if Troy is to pull off the upset. Fantasy Bonus Baby: CB/KR Marcus Jones intercepted two passes last season, running one back for a 100-yard touchdown. He also had 45 tackles, but his biggest impact was returning kicks – he had three touchdowns in 2017, two in one game against Coastal Carolina.